Another spotlight to end the work week! If you are or represent an upcoming artist, designer, writer, etc., and would like a feature on The Spotlight, please visit our Features/Submissions page for more info! Today, we have UK pop punk/alternative rock band White Eskimo! Comprised of members Will Sweeny (vocals), Alex Lewis (drums), Ryan Smith (guitar) and Marcus Crestwood (bass), the band all went to college together, each studying music. They eventually formed a group, and were glad to just jam together and create music. “It was just a love that we took very seriously,” the band said in a statement. “We just love being together, rehearsing every day. It’s a dream come true that we can play music for a living.” Interesting side note: One Direction’s Harry Styles was actually a part of the band back in the day! Though hailing from Manchester, England, White Eskimo was more moved by American bands that made an imprint on their sound. Artists that have inspired them include Foo Fighters, Blink 182, ACDC, Elvis, Ray Charles, Red Hot Chili Peppers, and many more legendary artists. The group has been hard at work, performing and making music. In fact, they released their debut EP, 100X last year, with production by James Lewis (Rudimental, Rae Morris, Sunset Sons). The band also recently released a new single as well entitled “Game Time,” which they say was “born out of the hilarity of trying to pick girls up in a bar!” Mark Winterburn engineered the track at John Delfs’ The Edge Studios,” and it received a “nod of approval” from Ivor Novello award-winning and Brit award-nominated producer Pete Kirtley. White Eskimo has recently wrapped a music video for the track, directed by Karl Beattie, who has worked with Madonna, Elton John, Paul McCartney, the Rolling Stones and Michael Jackson. “We are so proud of the end result,” the group said of the video, which should be released soon. Check out the track below! 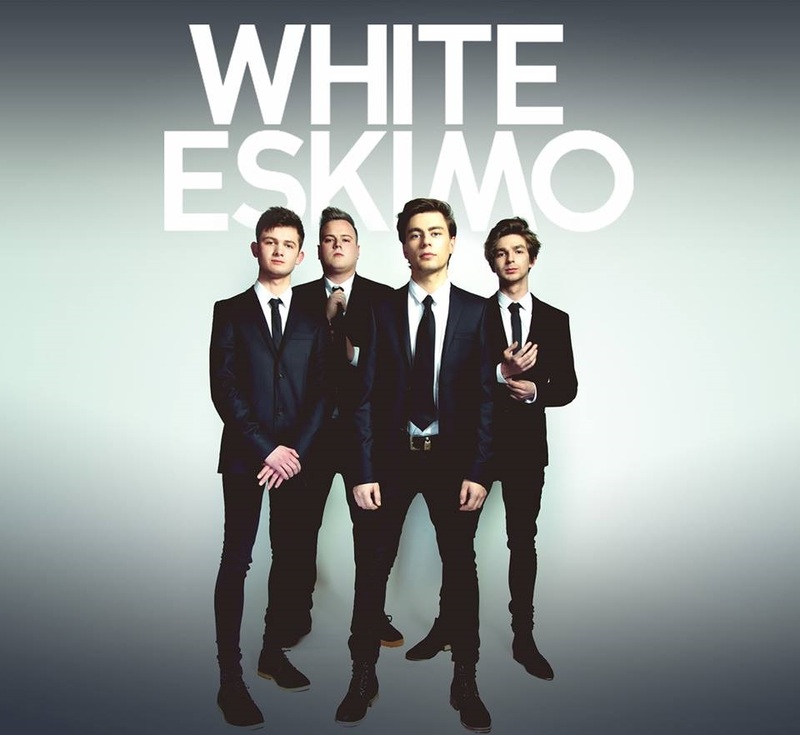 When it comes to the future, White Eskimo simply wants to play their music and reach as many people as possible. “We will always play music. It’s in our blood, whether it’s to 20 people down a pub or 50,000 in a stadium,” the band said. “Our longevity will last as long as we are physically able to pick up our instruments." You can check out more from White Eskimo on their official website, SoundCloud, and YouTube. You can also follow the group on Facebook, Twitter, and Instagram!